The Les Paul Traditional 2017 T is a trip back in time to the Les Paul's golden era. A Les Paul inspired by the legendary late '50s Les Pauls, with all the benefits of modern-era Gibsons. 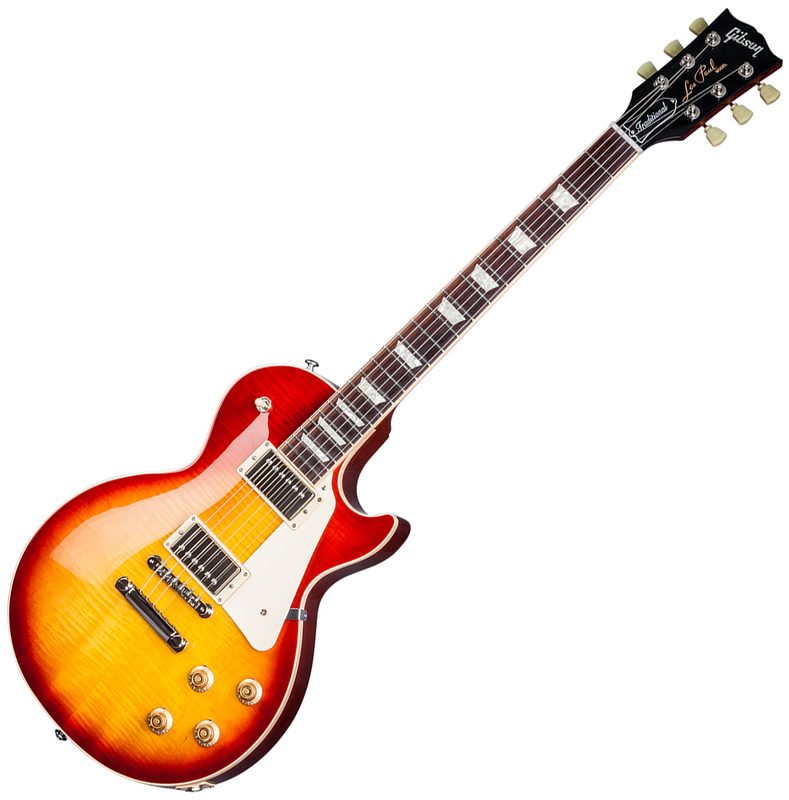 From a distance-with its Traditional features and accurate Grade-AA maple top on a solid mahogany body-this Les Paul could be mistaken for a guitar kept under the bed since 1959. Get closer, though, and the magic reveals itself! Once in your hand, Les Paul Traditional 2017 T unveils subtle but incredibly significant advances: rolled binding, polished frets, and a rounded neck profile make this guitar extremely comfortable to play. Wired ABR and aluminum stop-bar with steel posts deliver incredible resonance and sustain, while the Burstbucker 1 and Burstbucker 2 humbuckers with Orange Drop tone caps crank out dynamic, expressive PAF-inspired tones. Put it all together, and it's a superb take on the best of Les Paul models past, made for today's demanding player. It is delivered in a classic Gibson brown hardshell case with a Gibson multi-tool, a premium leather strap and a polishing cloth. Special electronics:Hand-wired with orange drop capacitors.